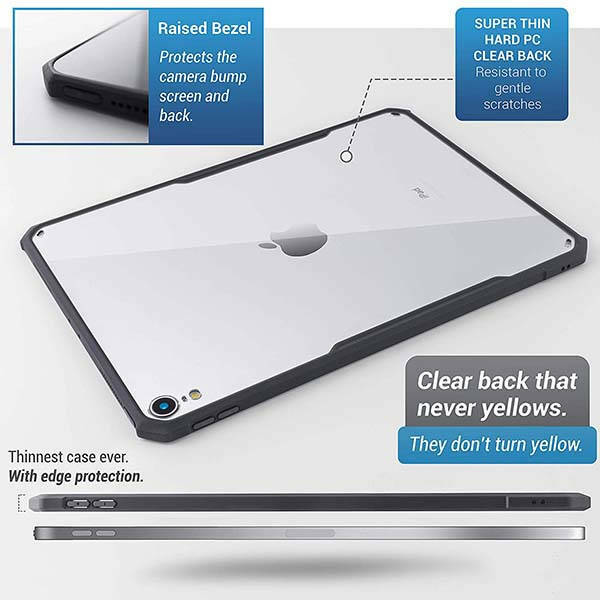 With an ultra thin and transparent design, the DinoCase 11-inch iPad Pro case is completely compliant to the beauty of the full-screen tablet, and similar with the folio-style iPad Pro case, it supports Apple Pencil wireless charging. Like the idea? Let’s keep checking. 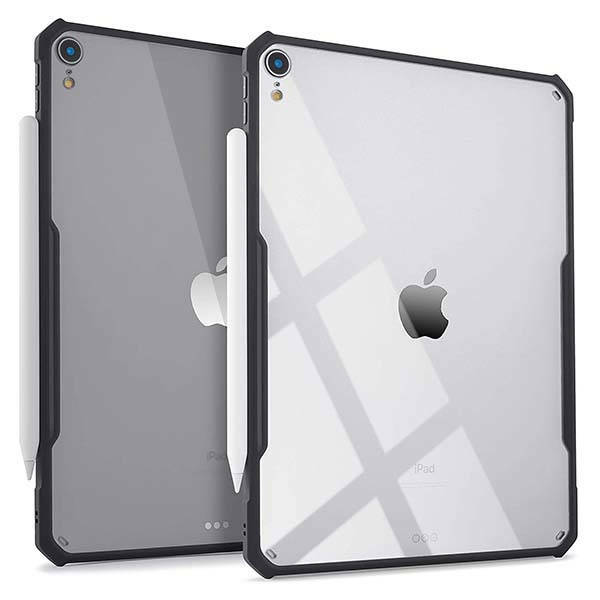 The iPad Pro case is available in two models for 11.9-inch and 12.9-inch iPad Pro models. As we can see from the images, the case shows off a minimalistic, ultra-thin appearance design, and the clear back cover fully displays the symbolic Apple logo, or you can also add your own picture for some personalized detailing. Meanwhile, the clear cover will never turn yellow, which always displays the legendary design or your own picture. The snap-on iPad Pro case comes equipped with a flexible, shock-absorbing bumper to protect the full-screen iPad Pro from bumps and shocks, and the super-thin hard PC clear back is resistant to gentle scratches. 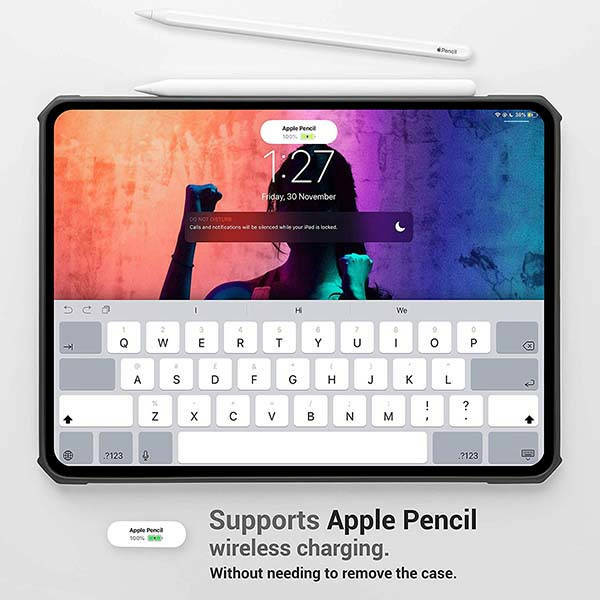 Furthermore, its custom cutouts let you access to all iPad buttons and functions, and you can effortlessly attach your Apple Pencil to the tablet for wireless charging without having to remove the case. The 11-inch iPad Pro case is priced at $17.97 USD. If you’re interested, jump to the product page (model for 12.9-inch iPad Pro) for its more details.